These are some cherry trivets (hot pads) that I played around with for the kitchen. 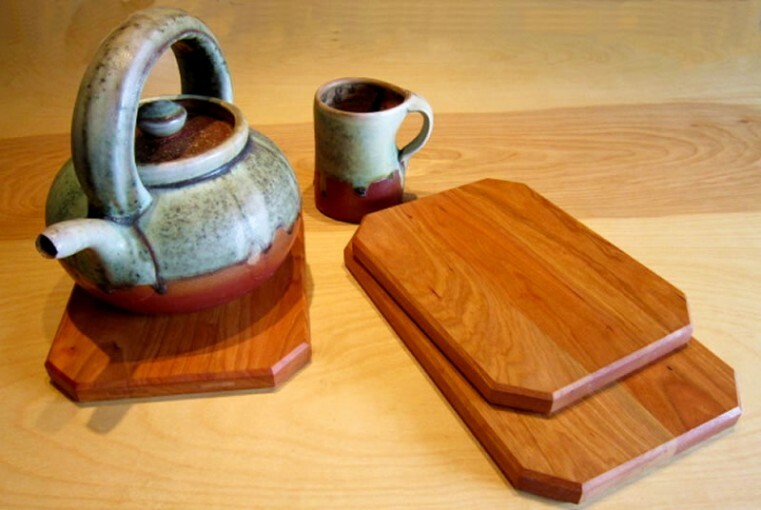 The variations in colour and grain in the cherry wood are very attractive, and having beautiful wood trivets for the tea pot makes having a cup of tea even more appealing. They are coated with two applications of LandArk natural oil finish and one application of food grade beeswax and mineral oil top coat.